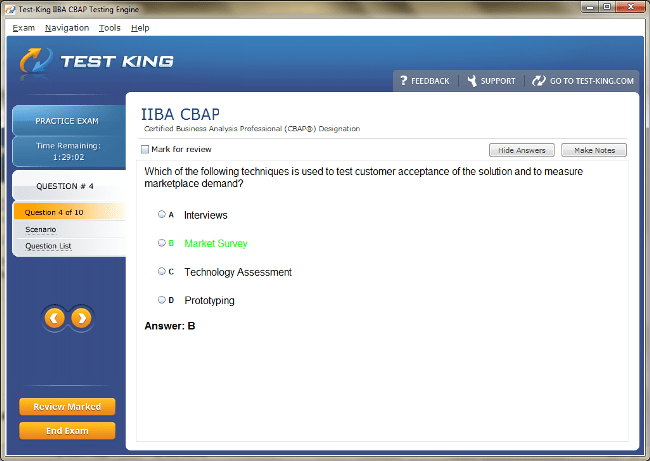 Pass Your CBAP Exams - 100% Money Back Guarantee! CBAP certification is offered by International Institute of Business Analysis (IIBA), which is a professional association that maintains standards for Business Analysis. The CBAP certification is aimed at senior business analysts who have performed business analysis in various different sized projects with different complexity level. After this certification, you will become an expert in identifying the business needs of an organization and then offering them the best business solution according to their needs. This certification exam is offered in three different languages: English, German, and Japanese. The candidates who are IIBA members get discount on the certification's fees and get many other benefits. However, becoming a member is not a prerequisite for the certification exam. Have 10 years of Business Analysis experience out of which you need to have Minimum 7500 hours of verifiable experience on the topics specified in BABOK (Book of Knowledge) guide. Have minimum 900 hours of experience in any of the four knowledge areas out of the six knowledge areas specified for the exam. Have minimum 21 hours of Professional Development experience in the past four years. In addition, the CBAP certification exam requires you to fill an online application form for the exam and sign the code of conduct &professional standards agreement. The two references that you have provided will be sent automatic emails and will be requested to log in and verify your experience. The CBAP exam consists of 150 multiple choice questions that need to be answered within 3.5 hours. Some questions of the exam are situational analysis questions and some are comprehension based questions. The situational analysis questions present a situation in front of the candidates and the candidates have to perform analysis of the situation and select the correct answer. The comprehension based questions are mostly definitions based. 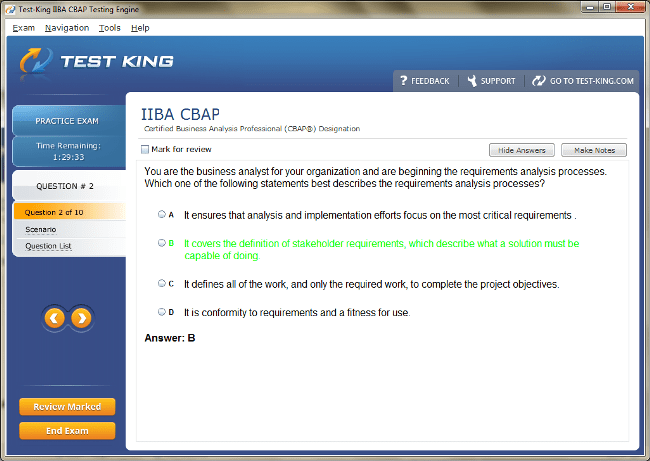 The pass percentage of the exam is not published by IIBA. However, the best guess according to some professionals is 70% pass percentage or 500 marks. CBAP exam is valid for three years. However, you can regain the certification either be retaking the exam or submitting 60 or more CDUs (Continuing Development Units) to the authorities. In addition, you also need to sign the CBAP Code of Conduct Form and pay the recertification fee of US$85 if you are an IIBA member else you need to pay US$120, if you are a non-member (plus GST/HST for Canadian residents or GST/HST registrant). Gain expertise in business analysis principles and practices and participate in a recognized professional group. Earn a higher income than non-certified fellow professionals. Get yourself recognized globally and stand distinct among the fellow professionals. 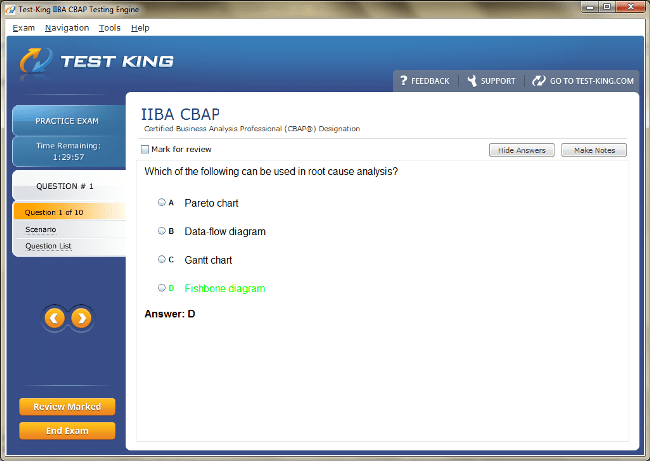 After gaining CBAP certification I am highly recognized for my business analysis skills in my company. I can now demonstrate a high standard of expert business analysis practices to our clients. This certification has improved my overall performance and has opened new market opportunities for me with much higher salary.